IVMUN has a long tradition for fantasy crisis simulations and this year, we seek to continue our own history. 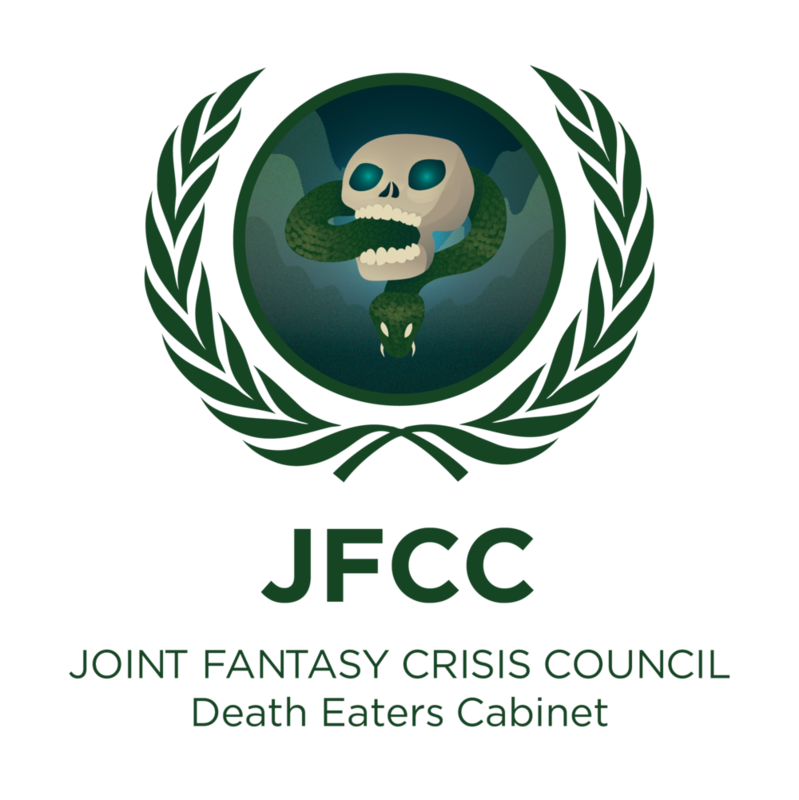 During our conference, we will simulate a Joint Fantasy Crisis Council. This year’s concept circles on the Harry Potter series of J.K.Rowling. This means that two cabinet style commitees will engage against each other in a truly unique and challenging crisis. Unlike regular General Assembly (GA) committees, the cabinets will work just like a president’s cabinet with every single delegate representing/playing the role of a specific character in Harry Potter - complete with their own staff and agents at their disposal. The Death Eaters are Lord Voldemort’s loyal followers. They are all wizards and witches who were radical pure blood supremacists, who practised the Dark Arts with reckless abandon and without the slightest fear of wizarding law. Lord Voldemort used this selected group of wizards and witches during both the First and Second Wizarding Wars, employing them as his special sidekicks and elite force.